The Upright Hotel is located at No 14/18 Demola Olanrewaju street, Agbeloba roundabout, off Quarry Road, Abeokuta, Ogun State. 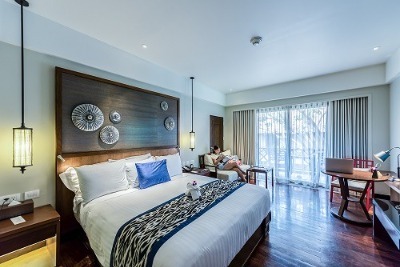 The Upright Hotel showcases rooms grouped into the categories of Classic, Executive, Classic Plus, Corporate, Royale, Executive Suite, Classic Plus, Corporate, Royale, Executive Suite, Classic Plus, and the Diplomatic Suite. These rooms feature facilities such as refrigerators, flat screen television stations, air conditioning, work desks and chairs, private bathrooms with shower facilities, king-size beds, bedside drawers and premium sized mirrors. An array of hotel facilities are made available to guests at the Upright Hotel and these include: a well-designed meeting room, a standard gym with an instructor, a restaurant with a menu of expertly prepared dishes plus a complimentary breakfast and dining facilities, outdoor pool, event hall designed to host a wide variety of events, laundry services plus a well-stocked bar/lounge. Q: Does Upright Hotel have a pool? A: Yes. A swimming pool is available on-site. Q: Is there a bar at Upright Hotel? A: There is a well-stocked bar filled with top choice beverages. Q: Can events be hosted at Upright Hotel? A: An event Hall is available at Upright Hotel adequately equipped to host several kinds of events and social activities. Q: Does Upright Hotel offer guests complimentary breakfast? A: Yes. It treats guests to a complimentary breakfast. Q: Is there adequate parking space at Upright Hotel? A: There is a provision of a sufficient space for guests' cars to be parked. Upright Hotel is a budget hotel in Abeokuta , Ogun. I had a wonderful time at the hotel, the back up generator kicks in as soon as normal power goes off. I was just glued to the television all through my stay. The shower also worked all through my stay and the toilet flushed properly. My stay at the hotel was a wonderful one, the hotel was clean and my room was beautiful. There was water and power supply, their staff were friendly and I am so impressed with their services. I had a really nice time with my boo there. There was a gym, massage palour, pool, bar entertainment. Everything was just awesome. I can't wait to go back there, three months from now. My stay at the hotel was totally amazing. My stay at the hotel was fantastic, I received a warm reception from their ever smiling staff at the reception. My room was beautiful, clean and comfortable. The bathroom was neat, toiletries, toothpaste were all provided, the power supply and water supply was constant. Their staff were respectful and dutiful but their pool is not functioning, they need to work on that. Have nice pictures of Upright Hotel ?